I purchased a lot of Ether for friends and family a long time ago. As soon as I could I tried to get people to open up coinbase accounts so that they could hold their own funds. Toward the end of 2017 I became convinced that the safest place to store cryptocurrency would be on a hardware wallet. So I bought a lot of Nanos and started helping people use them. In every case I persuaded people that they needed one primary Nano and one backup. Both would contain the same keys by using the seed from the first to initialize the second. After setting up 10 pairs of Nanos in this way I could do it in my sleep, but more importantly I realized that this was difficult for people who were new to crypto. By helping friends and family set up their Nanos I concluded that maybe this was a valuable service to others in the crypto community. In late 2017 the price for crypto was sky high but adoption of hardware wallets was still relatively low. I remember talking late one night with a friend and the thought occurred to me that you could make a killing selling Ledger Nano setups as a service. But you’d need to have two cute girls to front the operation for sales to really be successful. 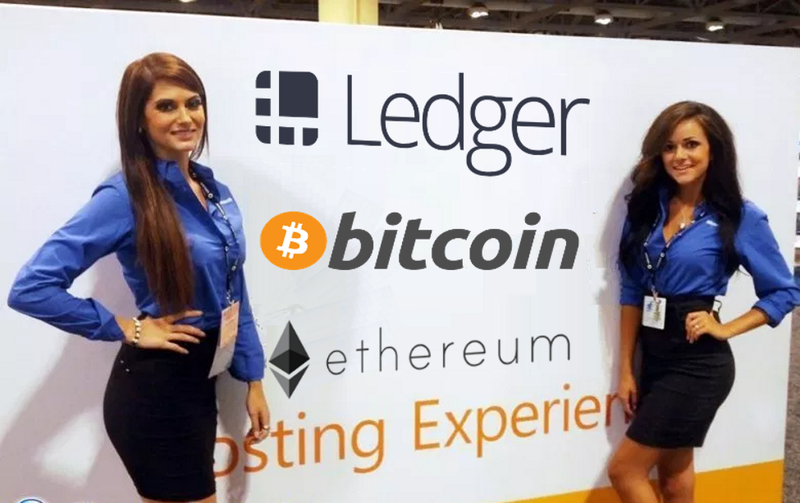 All I needed to do was train some attractive, semi-technical female sales associates who could show up to crypto meetups and pitch the participants. Given the low rate of adoption of Ledger Nanos at the time I felt that we could get a few sales per meetup. Beyond training people how to use the devices, we could provide one year of technical support for the Nanos to try and justify the high price we would be charging. Since most of the participants had seen 5x to 10x gains in their crypto over the past year it should be easy to justify asking for 1 ETH or 0.05 BTC (in Dec of 2017 this was about $700). In addition to supporting a primary and a backup Nano we thought we could offer support for a third device. The mooltipass has some cool features but most people end up using a service such as dashlane or lastpass. Still for those who really felt they could trust no one with their passwords the mooltipass is the ultimate solution for the most paranoid of users. Besides everyone who works in sales knows that if you want to justify a high price you need an even higher price anchor. By selling 3 devices and 2 years of support for $1500 we could sell 2 devices with 1 year of support for $̶1̶0̶0̶0̶ $700. Then we could claim that the participants were getting a special 30% off rate. At the time Ledger Nanos were sold out many places. You would often see them on Ebay at prices between $125 to $200. 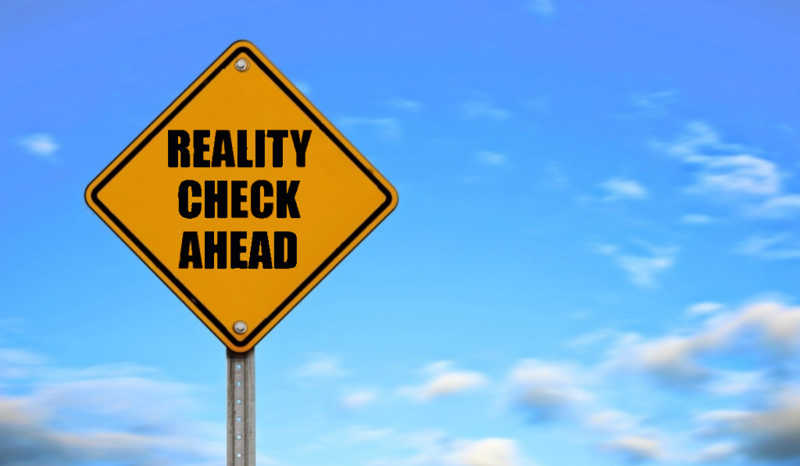 So although $350 dollars was a lot of money, lots of people had become rich almost overnight so I thought many people could be talked into believing they could afford the service. Besides given the rash of hacks that had occurred in late 2016 and 2017 paying to secure your crypto was a obvious decision. Having attractive sales reps would certainly help make the price seem more reasonable. 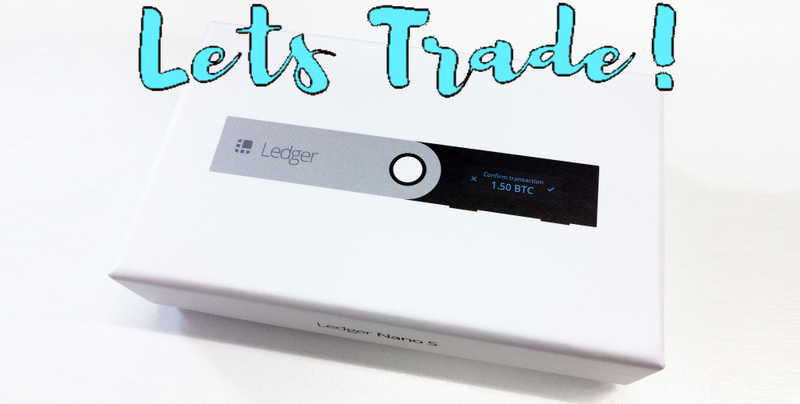 Why do I still have 20 Ledger Nanos today? Impulsively I bought a few (twenty) Nanos because it seemed like a good idea at the time. Besides, I had just bought twenty Nanos and they were already providing benefits to my friends. We might have even sold 10 Nanos within the first two meetups. Unsurprisingly I never found any cute girls that thought this was a good idea. I had one or two friends who felt that such a service could create too much potential liability. With the right partners we could have easily expanded into the domain of crypto wills and trusts. The family could hold a Nano with the private keys but the executor of the will could be the only one with knowledge of the pin code. This would mean that the recipients of the trust who hold the Ledger and the executor of the trust who knows the pin would need to cooperate to transfer funds. The more excited I became about this idea the more blank stares I got from people. Eventually I just gave up, its hard to be excited about something when everyone around you is meh. So am I really giving away the Nanos? Yes, I really am giving them away but not completely for free because they are still worth something. These Ledgers are a little more than a year old. 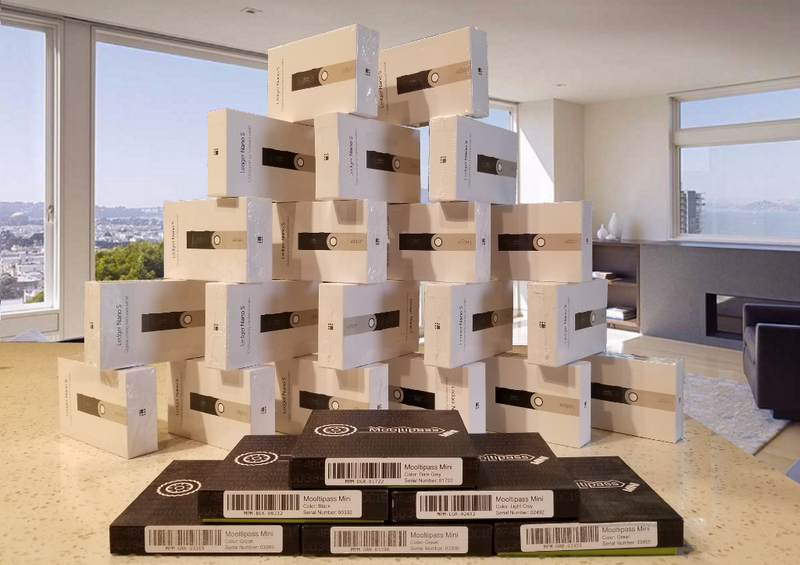 Soon the Ledger Nano X will be shipping to customers which means that in another year or so these Nanos will be even less valuable than they already are. Some have suggested selling them on Ebay but that seems like too much trouble since I don’t have a sellers account. Allowing them to gather dust in a closet somewhere also seems like a terrible waste. Giving them away requires me to do the least amount of work and has the most potential for the greatest unexpected upside. 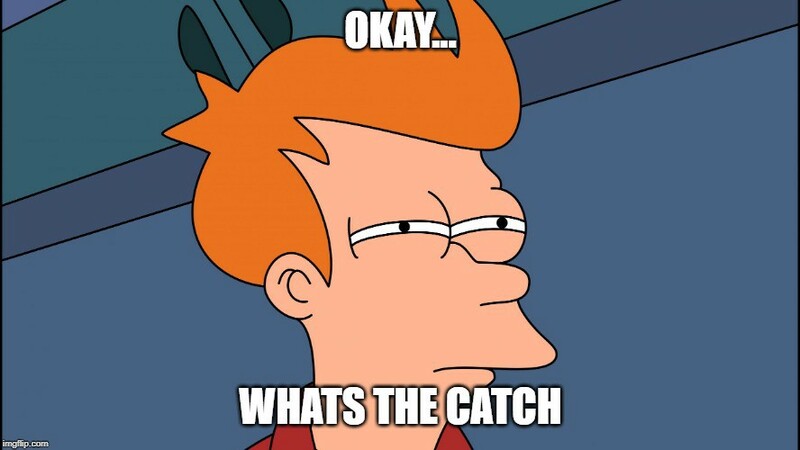 Catch /ˈkach/ noun 5. A hidden problem or disadvantage in an apparently ideal situation. A concealed difficulty or complication in a proposed offer. This goes without saying but whenever you get a Ledger Nano you should always make sure that you are the one to initialize the device by getting a new 24 word seed. So what do I want? A new* Ledger Nano S could be yours! What do you have to offer? I’ll give you a list of things I think are important to me and perhaps you can think of something nice to give in return. If you want me to pay for shipping it had better be pretty nice. Also I have mooltipass minis too. I’ve written a lot about incentive architecture and I’m always looking for gigs where my expertise is needed (resume here). I’m going to have to find a job toward the end of this year and I’m not sure exactly what that might be. Perhaps you have some insights that might lead to a gig? I don’t go to crypto conferences because its hard for me to figure out what I’m supposed to actually do once I show up. As a result I don’t have that many friends in the world of crypto. Getting introductions to other developers and VCs at a conference might be nice. I gave someone a Curta once but I’m not going to pester that person to find out if its sitting on a shelf in their office. But from time to time I wonder if it was something that was of value to them or not. If you can take a photo of the Curta I’ll give you 2 Ledgers or a Ledger and a Mooltipass. I don’t have anyone with whom I can have lengthy discussions about the architecture that I design. Also no one reaches out to me about their architecture (with few exceptions). It might be nice to be in the loop for once as far as incentive design and implementation is concerned. Discounts for events where I can learn new things or meet new people. Perhaps there’s something that I can’t even think of that you think would be pretty great. I’m open to hearing suggestions in the comments below. Ledger Nano S & Mooltipass giveaway was originally published in Hacker Noon on Medium, where people are continuing the conversation by highlighting and responding to this story.